Jaimie Rankin is a certified international Makeup Artist + Educator, with over 17 years of experience in the industry. 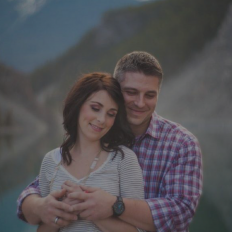 Originally from Calgary, Alberta, Jaimie has moved around throughout her life, always making her way back to her home city. She grew up in Montreal during her younger years, completed high school in Calgary, moved to Vancouver B.C in 2001 where she went to school at Blanche MacDonald Centre to become a Makeup Artist. 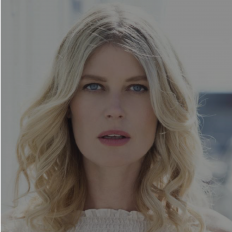 Jaimie currently resides in Calgary, where she has worked hard within the community to build a strong portfolio in Beauty, Bridal, and Editorial makeup. Her work has been published numerous times in Canadian magazines as well as internationally. Jaimie’s extensive experience as a Makeup Artist, as well as her love to train and mentor others, lead her into an education role as lead makeup instructor at the #1 accredited Makeup School in Alberta, One Beauty Academy. Since 2010, Jaimie has inspired other up-and-coming makeup artists while continuing to build her own freelance opportunities. She worked on creating the best curriculum for the school’s Essentials + Advanced Makeup program. In 2001, Jaimie graduated from the Global Makeup Artistry program at the highly acclaimed Blanche MacDonald Center, in Vancouver, B.C. There she mastered all areas of makeup including: Beauty, Bridal, Airbrush, Glamour, Commercial, T/V, Film, Editorial and Runway. Over the years she has attended many workshops and taken courses to update and add to her beauty skills. Giving Back to the community is very important to Jaimie’s philosophy as an entrepreneur and business owner. In doing so, Jaimie has brought her team, as well as students to volunteer their time doing makeup for ReThink Breast Cancer at their annual fundraiser in October called Boobyball. ReThink’s mission is to spread awareness, empower, advocate and educate young people worldwide who are directly affected by breast cancer. Jaimie lost her grandmother to breast cancer, which impacted her family greatly. Being a part of such an important cause so close to her heart, is truly a special + meaningful purpose for Beauty District to give back to the community and those affected by cancer. Jaimie discovered her love and skills to be a makeup artist shortly after graduating high school while working at The Body Shop in 1998. She would get requests from clients, brides, and even started to train other staff on makeup applications. Her manager at the time was the one who introduced the idea of Makeup Artistry as a career to Jaimie, and gave her information about a school in Vancouver. 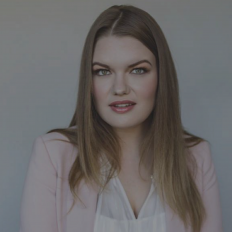 As a Freelance Makeup Artist, Jaimie’s creativity, professionalism and her love for soft beauty and glamour makeup has gained her popularity in the Wedding industry. 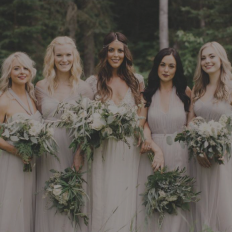 She has travelled and worked for hundreds of bridal parties throughout western Canada and on destination weddings, including Mexico. Her impeccable work ethic and passion for beauty, helped create relationships with many local wedding vendors and photographers alike. Earlier on in her career, Jaimie was hired as a MAC Artist and shortly became part of the management team while training in-house artists. Concurrently she conducted seminars and events before deciding to follow her dream of living and traveling Australia for a year. 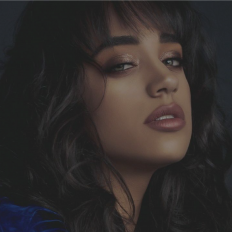 Upon returning to Canada, Jaimie landed another training and management position with Sephora, and was hired as Key Makeup Artist for local fashion shows including one for Louis Vuitton. 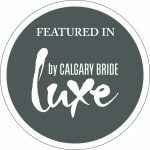 In addition, Jaimie’s editorial work has often been highlighted on the covers and within magazines such as: Luxe by Calgary Bride, Confetti Magazine, Dote Weddings, Vancouver Real Weddings, City Style & Living, Lou Lou, Vatra, Coco Fashion, Freq. and Press The Fashion Magazine to name a few. Jaimie’s commercial print clients have consisted of local restaurants, Peak Health & Performance, Swimco, Firoz, and Marks. 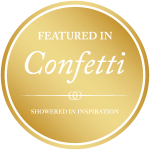 When working with her clients, Jaimie is attentive to detail, catering to each individual’s comfort level and makeup style. She is conscious of enhancing a woman’s natural beauty while bringing out their best features for any special occasion. It takes a very well rounded artist to deliver this and she certainly can! Her expertise, blending skills and ability to work with a soft hand has brought her to be highly sought after by bridal clientele, wedding planners, photographers, videographers and designers.